Turn on this option when you want callers to announce their name before continuing to connect the call. This option lets you identify the caller so you can pick up the call immediately. If Caller ID is not present, this will ask callers to say their name before connecting. 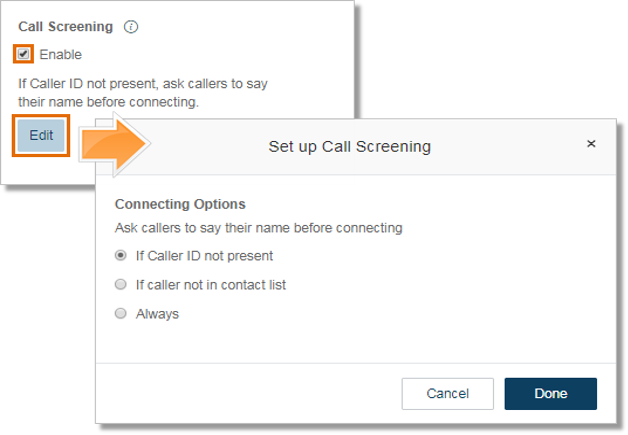 Under Call Screening, click the Enable check box and then click Edit to modify. After turning on this option, go to Call Handling & Forwarding > Settings > Incoming Call Information to set your preferences.